Hege Haukeland Liadal, a Member of Parliament (MP) for the Labour Party since 2013, is now facing police charges after she admitted to repeatedly turning in travel expense compensation claims for trips she never took. The Parliament’s administration had to wait to question her until she’d returned this week from a trip to Qatar. Newspaper Aftenposten all but ambushed her at the airport when she landed back in Oslo on Thursday. Liadal refused to answer questions and headed straight to the Parliament to meet with its administrative director, Marianne Andreassen, herself a former Labour Party politician. A few hours later, right during Norwegian Broadcasting (NRK)’s nightly national newscast, came the bulletin that Andreassen and the leaders of Parliament had decided to report Liadal to police. Liadal, age 46, has blamed her expense claims for fictitious travel on sloppy bookkeeping, saying she’d entered planned trips into an electronic accounting program and then neglected to cancel them if the trips were cancelled. Aftenposten has also reported, however, that Liadal had been warned earlier after reporting excessive mileage claims for car trips, and thus also receiving more compensation than she was entitled. She’s accused of receiving more than NOK 60,000 in unwarranted travel compensation for trips when she actually was either at home in Haugesund, at a family hytte (holiday cabin) or on private holidays. 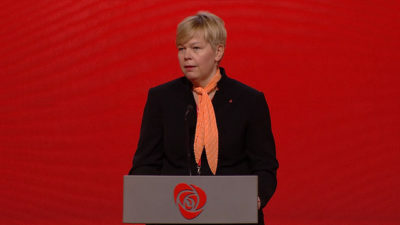 Several law professors had already urged the Parliament’s administration to have the police investigate, as had MP Bjørnar Moxnes of the Reds Party, which often sides with Labour on political issues. Police are also investigating fraudulent travel expense claims filed by an MP for the Progress Party, Mazyar Keshvari, while another Progress Party MP, Helge André Njåstad, has resigned party positions following questionable expense claims along with failing to keep sensitive information confidential. Tone Wilhelmsen Trøen of the Conservative Party, who serves as president of the Parliament, said this latest case of fraudulent travel expenses had “high priority” but that it was also important for Liadal to be heard. Liadal can’t be fired as an MP because she’s technically answerable only to her voters, but she already has gone on voluntary suspension of her seat on Labour’s national board and in the leadership of Labour’s chapter in Rogaland County. 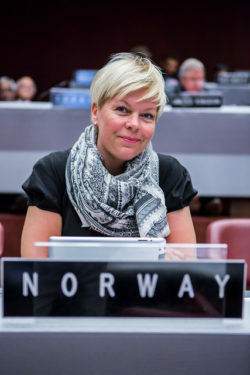 She has given up responsibility for Labour’s petroleum policy and won’t be attending upcoming meetings as Norway’s delegate to the Inter-Parliamentary Union (IPU) in Geneva. Her case, the latest example of MPs getting into trouble, continued to spark debate and criticism on Friday. Thomas Hylland Eriksen, a professor at the University of Oslo, noted how he and other state employees “always buy the cheapest airline tickets” and are subject to strict control when filing expense reports. “Do the MPs operate with a completely different system than other state employees, because they, by virtue of their titles, enjoy a higher degree of confidence and are viewed as having higher morals?” he queried in a published letter to the editor on Friday. Others have complained that top Norwegian politicians also seem to have been too passive when faced with cheating by their colleagues. Trine Eilertsen, political commentator for Aftenposten, accused the Parliament of being far too naive, thus harming themselves when fellow politicians and MPs behave badly.